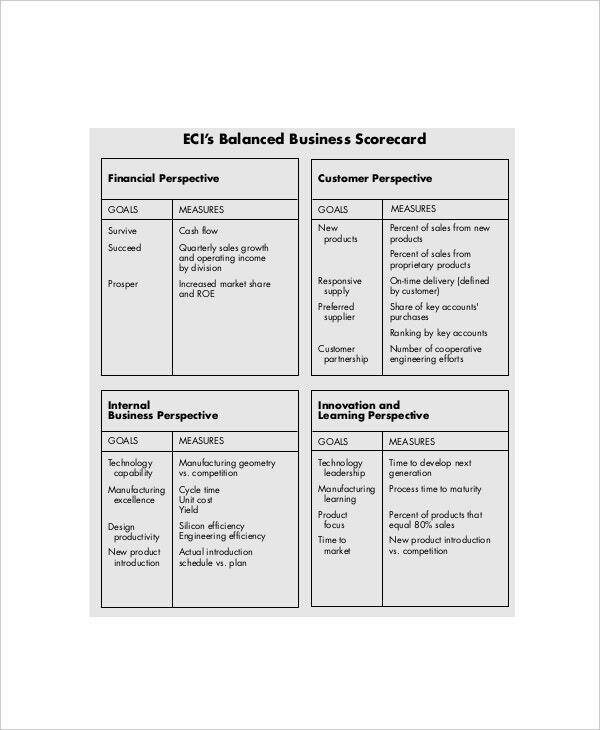 A business scorecard is a management and a long term planning tool to monitor all the activities that take place in a business. It is used to bring all the business activities together with goals and vision of the business. 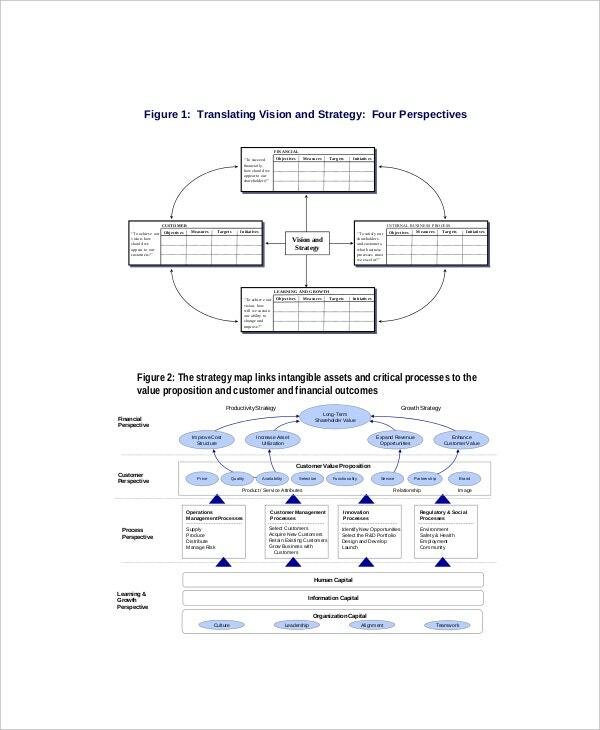 To develop a focused environment in the organization, it is necessary to keep a business scorecard. Various business operations can take place quite easily and smoothly through this scorecard and easy comparing of the business position can also be done. Examples may be viewed in which samples and formats are present. You can also see Scoreboard Templates in Microsoft Word Format. 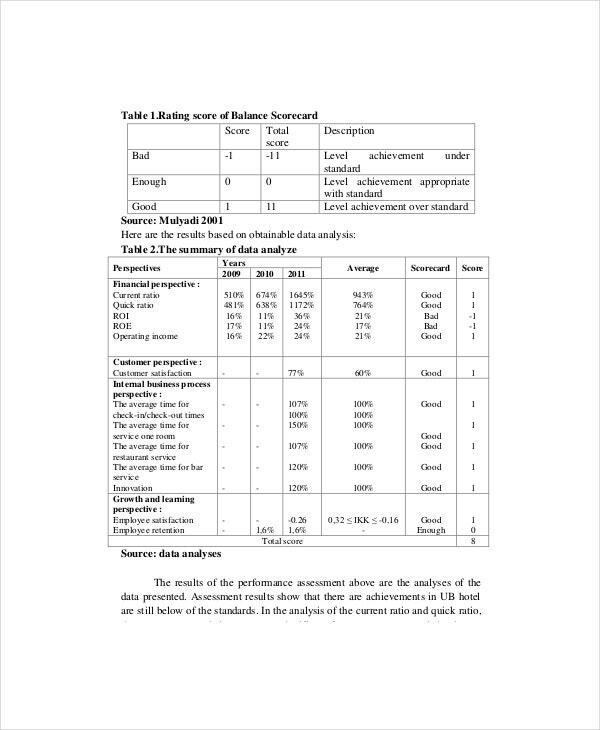 With this type of scorecard template a business can effectively engage each employee by analysing what they do, considering their specific skills and equipping them where there is a need so as to maximize on their strengths and improve their weaknesses. This way the organization gets stronger and more efficient with time. Since a hotel is a very sensitive service sector business, the level of service provided to the customer should be impressively high. 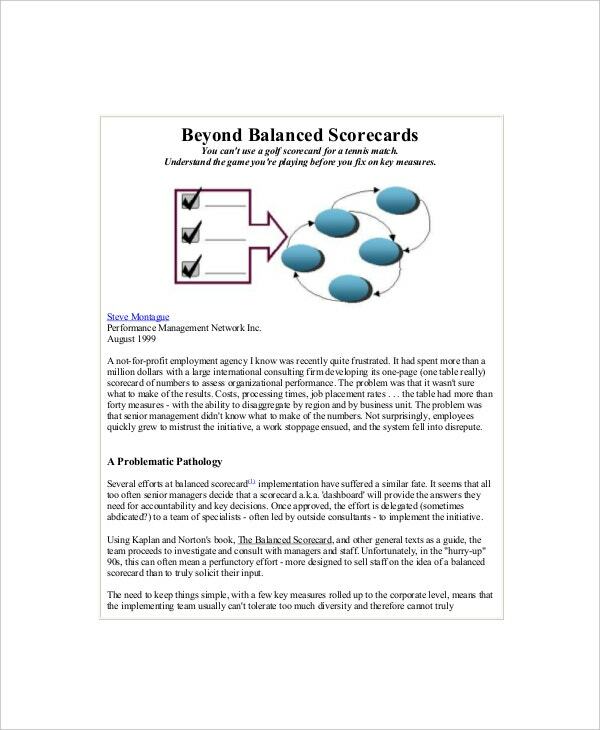 In order to achieve these levels, the management needs to regularly use this scorecard template to identify and resolve issues that cause the identified poor service issues in the hotel. As a dental practitioner, customer service is one area that requires much input if the business is to grow without difficulty. 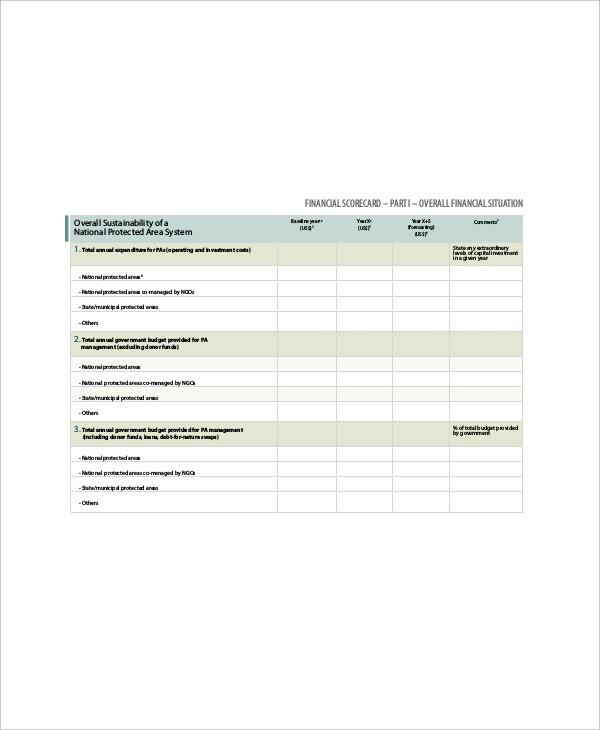 With this example template, the dentist can rearrange the practice to ensure maximum customer satisfaction is achieved with the available resources. This tool helps in identifying and solving weak points in the operations. You can also see Scoreboard Templates. 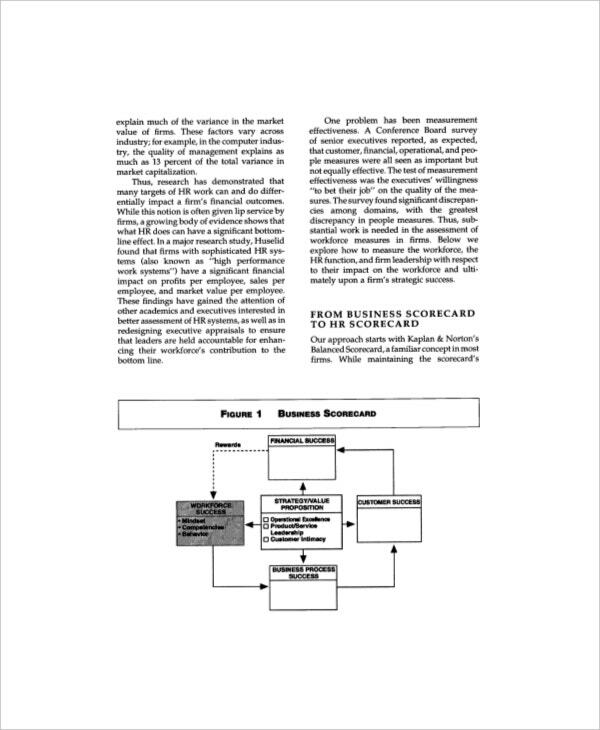 > What are the Main uses of this Template? Using a business scorecard or any other type of scorecard is a sure way to grow your business. It is a way to identify the key points where the business is not doing well like in customer satisfaction then make strategies on filling the gap. You can also see Basketball Scoreboard Templates. This means the template is used in making organizational plans including HR planning and the financial planning for improving the service given to customers. It is a tool that managers use to monitor inputs, processes, finances and outputs in any type of organization so as to ensure the optimal use the available resources to produce the best quality service for customers. 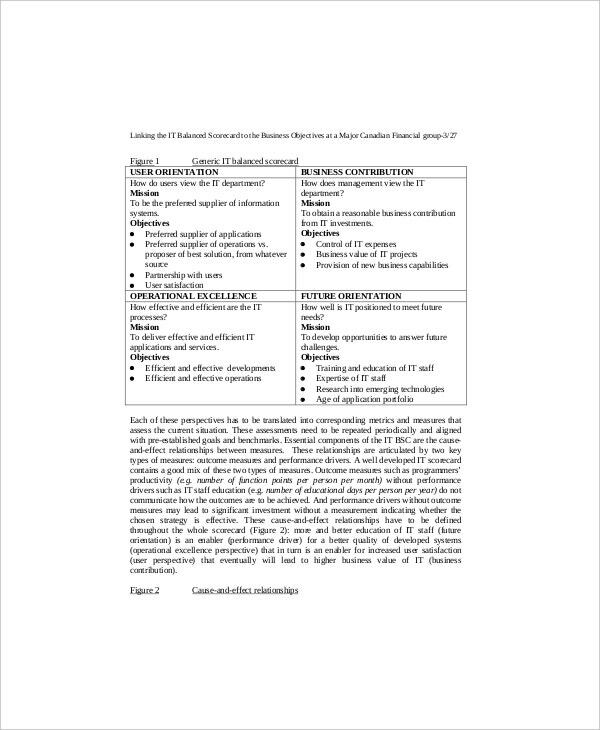 The business scorecard template is targeted at business owners intending to make the best use of the available resources and to give customers improved service quality. It is applicable in human resource improvement objectives of a company. It aids in the identification of the employee needs of training and monitors their progress during and after training to ensure the organizational goals are being met effectively. 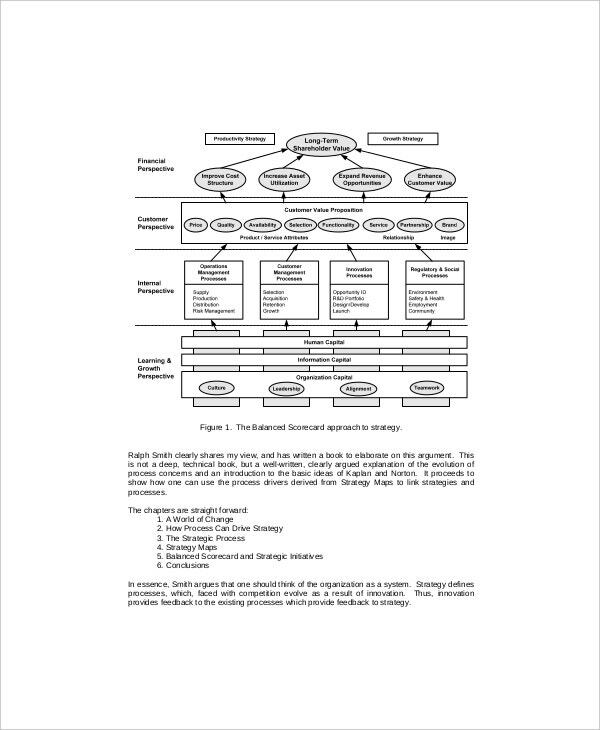 Managers overseeing processes and production also need this tool in order to make better their operations and fill the gaps in performance lapse and use of funds. It is used to monitor progress and result in quality and efficient processes to the satisfaction of the customer. You can also see Football Scoreboard Templates. The major advantages of using this sample template is that the user will experienced improved systems of operations and enhanced information systems since all these gets updated and improved in the process of making efficient the activities. Employees will get motivated as they learn more with the targeted training and feel valued by the organization. Spending for the process will be reduced as the activities get efficient with time, this therefore translates to lower prices for customers and improved pay for the better performing employees. 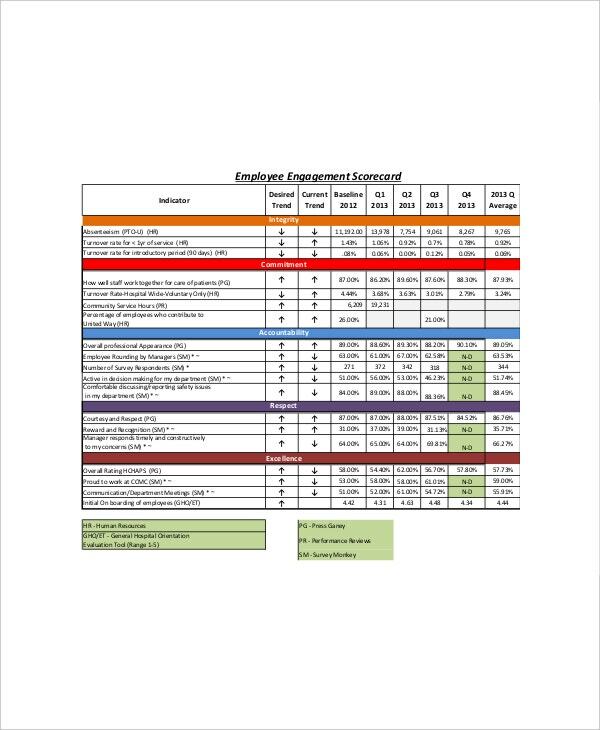 With this example scorecard template, the HR department can easily set standards to identify key measurements for employee performance and appraisal process for maximum production. 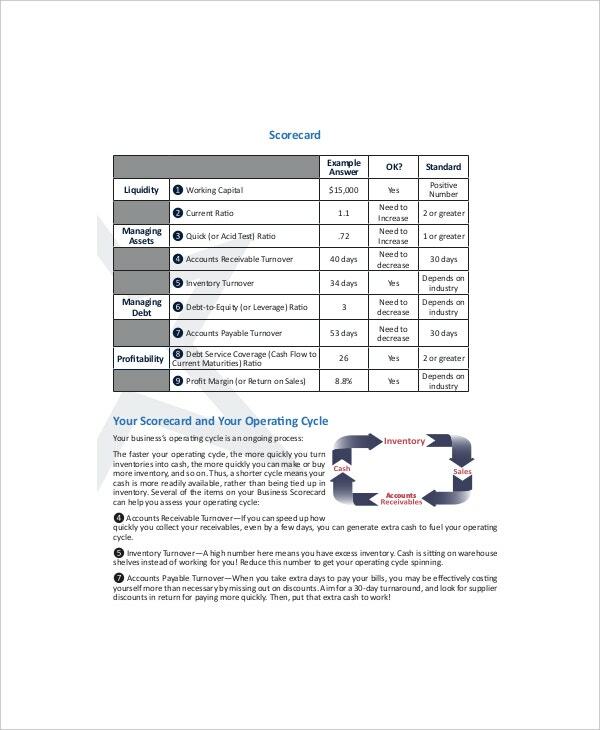 Using a business scorecard template is a very wise way to optimize resource usage in any business in the modern times. It is an easy way to make serious improvements in the work employees do, make efficient the processes they undertake and minimize costs for the input so as to give customers the best products and service available.